Bhairav Kunda is located at an altitude of around 4200m, requiring trekkers to be prepared for high altitude acclimatization. People of both Buddhist and Hindu faith make a pilgrimage to the lake during the full moon of August to pay homage to their respected deities. Locals believe that dipping in the lake can actually purge all your sins. Bhairav Kunda is a glacial lake situated north-east of the Kathmandu in Sindhupalchowk district, close to the Nepal- Tibet/China border. Bhairav Kunda Trek is both a spiritual and adventure trek along less crowded trekking trail along the foothill of great Himalayas. 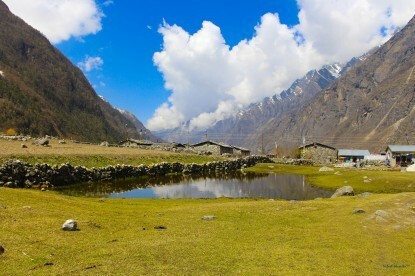 Bhairav Kunda is located at an altitude of around 4200m, requiring trekkers to be prepared for high altitude acclimatization. People of both Buddhist and Hindu faith make a pilgrimage to the lake during the full moon of August to pay homage to their respected deities. Locals believe that dipping in the lake can actually purge all your sins. The trekking begins from Jalbire, about 4 hours drive from Kathmandu. 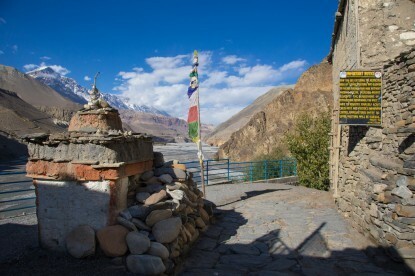 The trail follows the ancient trade route between Tibet and Nepal. As you gain altitude you will pass by picturesque villages of Chanaute, Khanigaon, and Forest inhabited by various ethnic groups of Nepal. Colorful Buddhist Chhortens and prayer flags and terraced farms and cattle make for a romantic sighting. You will be walking through alpine forests of oaks and rhododendrons that are home to such rare Wild species as snow leopard and Himalayan black bear. Along the trail, you will observe beautiful Views of Rolwaling and Jugal Himalayan ranges. Once you reach the top of Bhairav Kunda, a complete Himalayan panorama of such peaks as Gaurishanker, Dorje Lakpa, Cho Oyu, Madiya, and Phurbi Ghhyachu, Menlungatse etc. Bhairav Kunda Trek is entirely a camping trek. 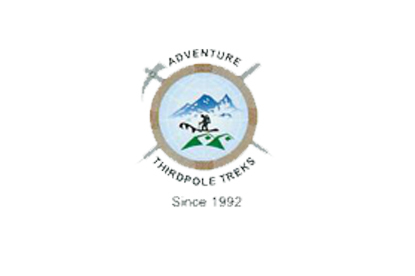 Adventure Thirdpole Treks provide full Board camping facility along with experienced guides and porters. Drive to Jalbire (1040m) by bus - 5h and commence trek to Chyandanda (1160m) - 3h. Chyandanda - Tinsure Danda (2570m) - 6h. Tinsure Danda - Laligurans Kharka (3415m) - 6h. Acclimatization day in Laligurans Kharka. Laligurans Kharka - Bhairav Kunda (4060m) - 4h. Exploration around Bhairav Kunda. 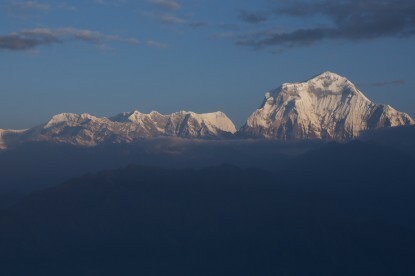 Bhairav Kunda - Kyangsing (2470m) - 5h30. Kyangsing - Manje (1250m) - 6h. Manje - Jalbire - 6h. Drive to Kathmandu by bus - 5h.